Tarot is a divination system that uses a set of cards to gain insight and achieve greater control over issues involving relationships, opportunities, and life changes. The Tarot deck is over 500 years old. With archetypal roots that go back almost 2,000 years, Tarot has become a repository of ancient wisdom. 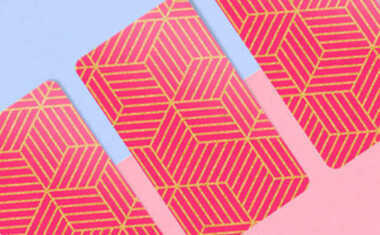 Interestingly, our modern playing cards are a subset of the Tarot. The history of Tarot symbolism is shrouded in mystery. Some of the Tarot symbols are thought to have originated in China, India or Egypt. Tarot cards date back to 15th century Spain, Italy and France. A large enough Tarot spread can give you a very keen sense of the probabilities inherent in a situation, but the specific way that things turn out are, in the final analysis, up to you -- how well you adapt to the ever-changing conditions that your Tarot reading reflects. A Tarot reading gives a snapshot of what is going on in the Present, the time you are picking the cards. It can help you see aspects of a situation that have been invisible to your ego. In contrast to popular opinion, Tarot is a valuable form of meditation on the Present moment that returns insight and advice. Although it does reflect probabilities, it is NOT a form of fortune-telling. Consult the Tarot as if you were asking the advice of a wise friend or teacher. A tarot deck consists of 78 cards that you lay out in any one of a number of spreads. Each card is symbolic of an energy or spiritual truth, its relevance depending upon its position in the spread. There are so many possible outcomes that tarot readers spend decades mastering the meanings of all the cards in all the different combinations. Books are one resource, but can only help so much. Using the power of Synchronicity, Tarot taps both the subconscious and the superconscious Mind, the center of our psychic abilities. Anyone can become a good tarot reader. But a gifted reader of Tarot is far more than someone exercising innate psychic abilities. An appreciation of the power of the archetypes contained in the images on the cards demands a classical understanding. 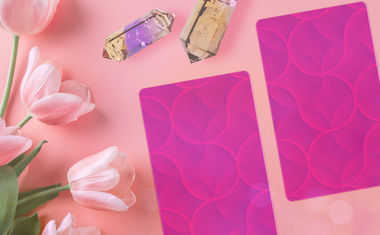 By bringing you this element, Tarot.com lets you give yourself good readings right off the bat and will lead to more accurate intuitive abilities over time. Is Tarot something to fear? Most people find the insight we can get from Tarot cards thrilling, but there are some who find the process intimidating or frightening. People may be scared they'll hear something terrible, or that they won't be able to change what they hear. But that's not true. If you fear Tarot, it's time to move past it and learn why Tarot is nothing to fear. It's simply a tool to give you the insight and advice you need to change your life for the better. What is the Major Arcana and the Minor Arcana? Most classic Tarot decks are comprised of 78 cards, divided into a Major Arcana (22 cards) and a Minor Arcana (56 cards). The Major Arcana cards, also called trump cards, are important because they represent significant life events on a large scale and they impart messages of greater weight than the Minor Arcana cards. Beginning Tarot readers should learn the meaning of the Major Arcana first, then go on to learn the cards in the Minor Arcana, which represent day-to-day life and all of its ups and downs. What are the four Tarot card suits? Tarot's Minor Arcana is comprised of four suits: Wands, Cups, Swords and Pentacles. Each suit is made up of 14 cards, beginning with the Ace, progressing through numbers two through 10, and concluding with four Court cards: Page, Knight, Queen and King. Each suit represents an overall theme: Cups rule emotions, Pentacles rule the physical world, Swords symbolize challenges and Wands indicate action. Interpreting a Tarot reading is much easier once you are familiar with the Major Arcana, Minor Arcana and all four Tarot suits, and learn how they work together to tell the story of your life. What kinds of questions is Tarot well-suited for? Tarot is excellent for receiving clarity on problems or issues that logic by itself simply can't handle (most of the important ones in life!). Relationships, negotiations, work dynamics, office politics, family matters, spiritual well-being. How important is choosing the right Tarot deck? Thanks to modern production and distribution technologies, there are hundreds of Tarot decks available to anyone today for a modest price. 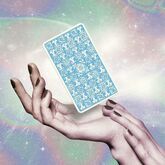 Tarot.com will soon offer over 50 choices of decks, which you will be able to flip between at will. Most people will come to choose a favorite deck. All the decks on Tarot.com are good, with a reasonable connection to classical tarot tradition, so you really can't go wrong. How do you choose a Tarot deck? How do you choose a Tarot spread? There are hundreds of spreads too, with tarot experts creating new ones all the time. A spread is the layout of the cards, with a category of meaning assigned to each position. The creation of useful and powerful spreads is an art. Tarot.com offers two free spreads -- a three-card spread consisting of the first 3 positions of the Celtic Cross -- Self, Situation and Opportunities; and a 1-card spread wherein you can choose anyone of twelve positions to view the card in, including Advice which is the default. Does Tarot.com have Tarot card interpretations? The Tarot Card Meanings hub lets you see the classic meanings of each of the 78 Tarot cards. This ability for any card is a powerful learning tool for anyone sincerely interested in Tarot. Tarot.com incorporates the world's only comprehensive encyclopedia of Tarot card meanings in any form that we know of. Nothing with the scope or depth of Tarot Magic exists in book form. It would be 1500 pages long and weigh a ton!